Last Sunday outfit was a comfortable one and I wore it for the first time together with 2 wonderful gifts. This custom made bag, with my name on it, came from Italy and I have a deep love for Renato Ascoli brand and a wonderful friendship with Sofi Ascoli. 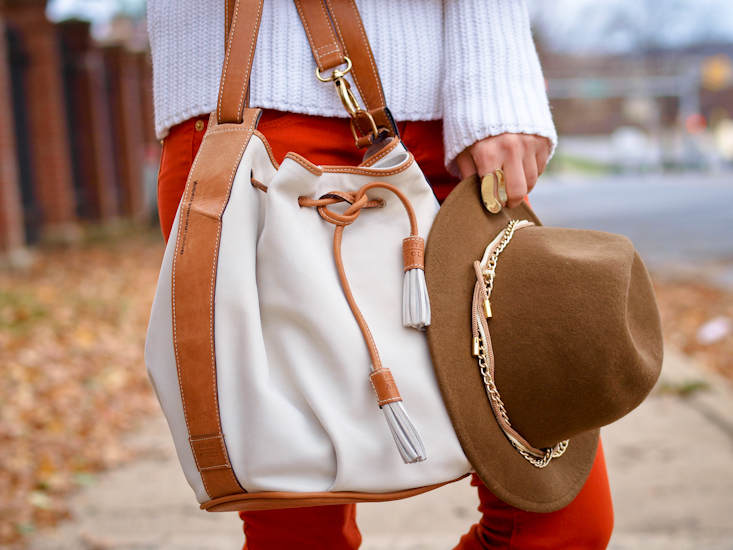 What a difference can make a great bag in an outfit! Visit their online shop HERE to see many other quality designs and let me know what you think. The story behind this brand is interesting as well and you can read about it here. The second gift is represented by these ankle boots, thanks to Polyvore and Madison Harding, the designer. These boots are the perfect boyish Fall shoes, comfortable and stylish. To complete this look, I added my new hat and I was good to go! Palaria + ochelarii iti vin de minune. autumnal bliss! You are so so radiant and happy in this look! Beautiful! Me encantó la combinacion, guapisima. Wonderful outfit! Love these pictures! I like the effortless look! It’s all about the accessories! The hat and the brooch is absolutely beautiful! I love how your blog is full of color! amazing color of your pants! 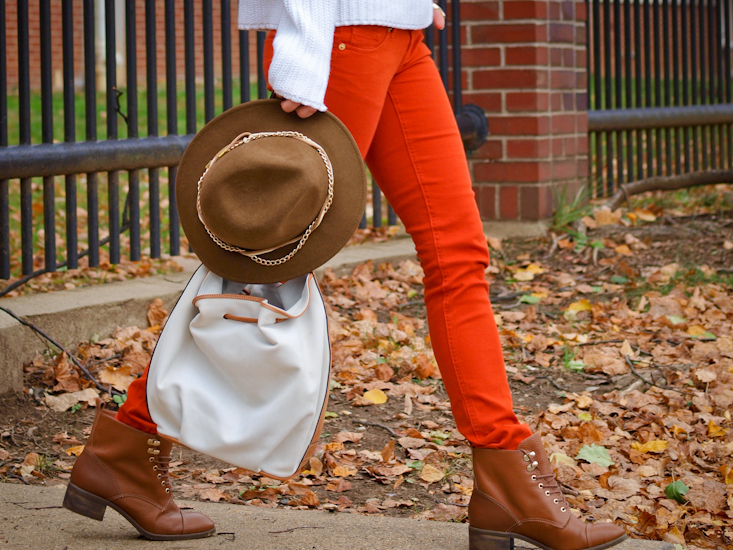 great fall colors, love the hat!! I love this outfit, the colors are so amazing!! !